How many geeks does it take to stream a video from a PC to a TV over a wireless network? It depends on whether they can look up the directions on their smartphone. One of the most common methods to stream media from the Internet to a television set is through the use of a large family of Sony media player or streaming products. One of the most common products is the Sony Network Media Player. I bought the SMP-N100 model a year ago, but these days you can choose from a long list of SMP models with various features, or something like the $160 Sony NSZ-GS7 Internet player with Google TV. Or, better yet, go with something like a Sony Bravia Internet TV which comes in a number of big screen sizes. 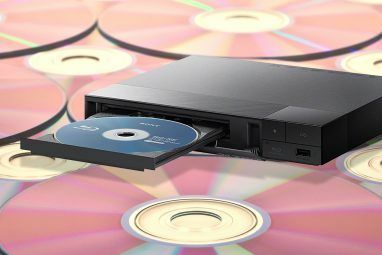 The great thing about each of these Internet streaming products from Sony is that the menu system, network settings, and they are typically DLNA compatible; meaning that you can stream to the device over the network from all sorts of DLNA compatible devices, including smartphones and of course, your home computer. 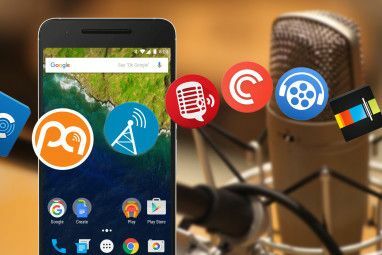 So how can you quickly start playing movies, photo slideshows or audio from your computer to the network media player? It only takes a few simple steps, and you’ll be there. The concept of using a PC as a media server is something that we’ve covered frequently here at MakeUseOf. A few years ago, Will explained how to create a home media server How To Build A Home Media Server From An Old PC How To Build A Home Media Server From An Old PC Read More out of an old PC, and more recently, Tim covered 6 great applications that will allow you to transform your PC into a UPnp/DLNA compatible media server 6 UPnP/DLNA Servers for Streaming Media to Your Devices 6 UPnP/DLNA Servers for Streaming Media to Your Devices UPnP devices are able to see and communicate with one another, and one of the best uses for this technology to stream media around the house. Read More . Any of those suggestions will work in the series of steps provided below. So, what is DLNA? It stands for Digital Living Network Alliance, and it’s a list of standards that enable all digital network-enabled devices in a home to easily communicate with one another. There are over 9,000 DLNA-compatible devices in the marketplace today, and that number keeps growing. On this screen, you’ll see all of the DLNA devices that Windows Media Player recognized on your network. By default, access to and from most of those devices will be “Blocked”. Before you can stream to them, you’ll want to change those to “Allowed”. Once that’s done, click on “Choose homegroup and sharing options” at the bottom of the window. Here, you’ll want to select all of the media types that you want to let this media server (your WMP Playlist) share out over the network. By the way, back on the Streaming Media Options window, you can click on “Customize…” for any particular device and customize streaming limitations if you have young children who use those remote devices and don’t want them to start watching things like R rated movies or 18+ music that you’re sharing from your computer. This is best if the device is in the child’s bedroom and you want to limit what content can be played there. Once all of the device streaming settings are configured, your Windows Media Player is serving as a media server over the network. All you have to do is add new videos, music, and pictures to your WMP libraries and they’ll be accessible from any other network media player or device on the network. 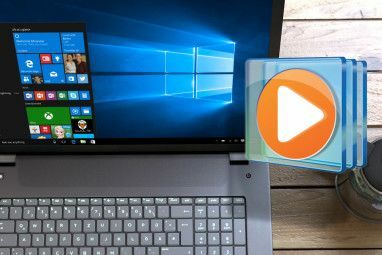 Windows Media Player obviously isn’t the only software you can use to share your media over the network to DLNA devices. There’s lots of free media server tools Replace Windows Home Server With These Great Free Tools Replace Windows Home Server With These Great Free Tools Microsoft has been implementing big changes lately, and none of them are sitting too well with me. If you’re as jaded as I am about the $50 Windows Home Server being killed off - replaced... Read More you can install for just this purpose. If you don’t want to use WMP, or you are using Mac or Linux, then I highly recommend Universal Media Server. This software will recognize all DLNA compatible players or servers on your network, and will share media files on your entire machine out to those devices. There are lots of configuration options available – beyond the scope of this article – but just installing it and leaving everything as default will work just fine. The last thing you want to verify on your PC, to be sure you can accomplish media sharing over the network, is opening up a command prompt (Start -> Run -> Type “cmd”) and typing “ipconfig /all”. Make sure that the IP address of your computer is only one value different than the media player you’re trying to share to (they need to be on the same subnet). Also make sure both “DHCP Enabled” and “Autoconfiguration Enabled” is set to “Yes” (this is based on Sony tech support recommendations). Back on your Sony device, setting up your connection to your media servers that you’ve already configured is pretty easy. Just go into the settings menu for the device or the Sony Internet TV, select Network Settings, and then Connection Server Settings. This is where you should see a list of all of the DLNA media servers on your network. Typically, these will already be set to “Shown” – which just means these connections will be displayed in the other menu selections for choosing your media to view. If it doesn’t stay “Shown”, then just change the setting so it does. Next, all you have to do is go over to the various media sections of the menu and you’ll see your PC media server listed. If you’ve shared music, you’ll see it under the Music section. If you’ve shared videos, you’ll see it under the “Video” section. As you can see here, my configured media servers – Windows Media Player and the Universal Media Player – both show up on the menu. To test that it works, I chose Windows Media player, and then selected the video of my Canadian TV interview that I had saved to my computer and shared out using WMP. Sure enough, it showed up under the list of videos, but would it really stream straight from my computer? I selected the MPEG video and waited for it to play. And indeed, it streamed great! Quality was fantastic, stream rate was far better than even from Netflix or Amazon, which is to be expected since you’re streaming over your network rather than over the Internet. Going back to the Video menu and selecting the Universal Media Server instead, I noticed that I could essentially browse my entire hard drive straight from the Sony media device – meaning I could access media located anywhere at all on my computer using that particular media server software. That’s pretty cool. What are some benefits to a setup like this? Well, plenty. If you’re having a party and want to use the nice sound system that you’ve got connected to your TV for your music, you can stream from your huge music library you’ve got saved on your computer over to your TV entertainment system. With this setup, you actually don’t need to own a DVD player, because you can just stream DVD movies right from your computer to your Sony media player or TV. If you’re an avid fan of Torrent downloads µTorrent: Still Tiny, Still Powerful, and Still the Best Torrent Client µTorrent: Still Tiny, Still Powerful, and Still the Best Torrent Client Do a Google search for "BitTorrent Client" and it will come up first, but is µTorrent really the best client out there? In short: pretty much. Few other clients match µTorrent for features, which is... Read More and you’ve developed a huge collection of movies on your computer, or an external hard drive, now you can stream those right to your TV. The obvious benefit here is that there are no wires or wiring required. It can all be accomplished via a wireless network with ease. 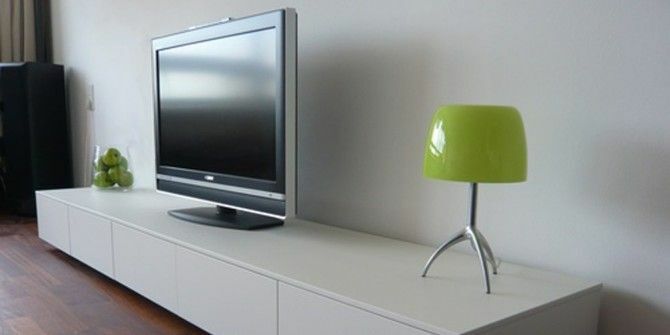 And once it’s set up, you never need to configure anything again – just turn on your computer, make sure the media server software is running, grab your Sony media player remote and you can play all the media on your computer from the comfort of your couch. I keep getting "No playable file in this category"
Great article Ryan. For those who live outside US like me, you can access Netflix, Hulu and similar media stations on your Sony Blu Ray Player by using UnoTelly or similar tools. How do I get ITunes on my PC to stream onto my Sony wifi speaker? I am using mac go mac blu-ray player. Is it support stream? My setup used to work until one day I clicked on the WMP Server icon and it just tries to load the filelist forever and won't go any further. I see the little round circle like its trying to load something (like it's "thinking") and the circle keeps turning until it finally times out. I have checked all of these settings and looked on every forum imaginable...and no luck. I'm using a Blu Ray Player...but it's a Sony BDPS590 which is very much like the PS3. I even manually went into the Control Panel on the computer and disabled the wmp network sharing service and the UpnP manually and re-enabled them. That didn't work either. Any suggestions?? How about you just use their Homestream service? It's much easier! You said "Make sure that the IP address of your computer is only one value different than the media player you’re trying to share to (they need to be on the same subnet). Also make sure both “DHCP Enabled” and “Autoconfiguration Enabled” is set to “Yes” (this is based on Sony tech support recommendations)"
My "ipconfig /all command gives quite a different results. How do I go about changing thems? Will it works with subtitle when I put SRT in same folder with avi? Cancel reply, most likely your TV does not have .mkv recovery algorithms.